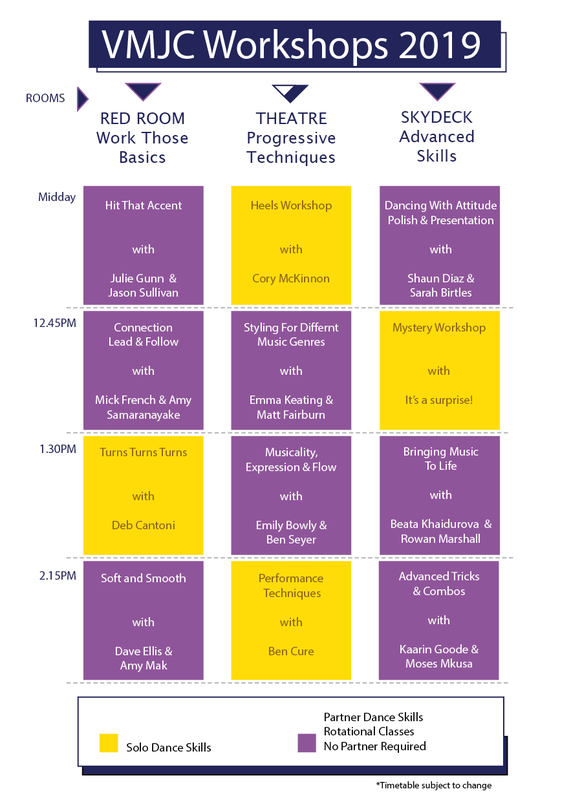 Workshops are open to all levels and you don't need to bring a partner. After the workshops, continue dancing at the tea dance. .
MJ moves from VMJC dance competition floor 2019.